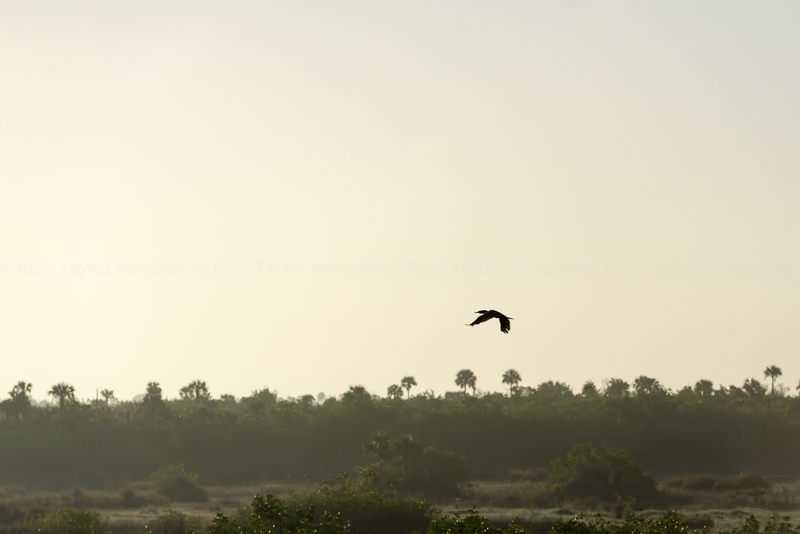 It’s not the Everglades sexiest bird, but it is one of the most ubiquitous. The double-breasted cormorant has neutral density bones that allow it to swim after fish. 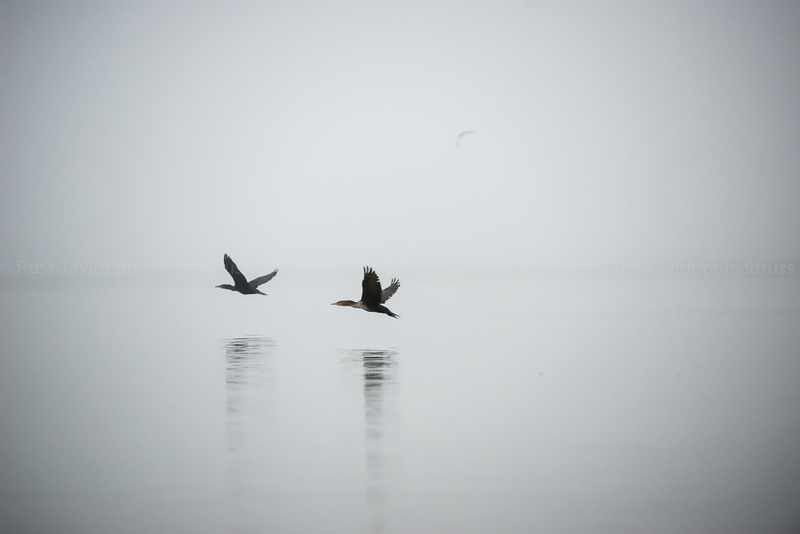 Gregarious by nature, the cormorant hunts for fish with its friends. It has no oil glands so it must dry out its wings in the air. It struggles to take to flight. 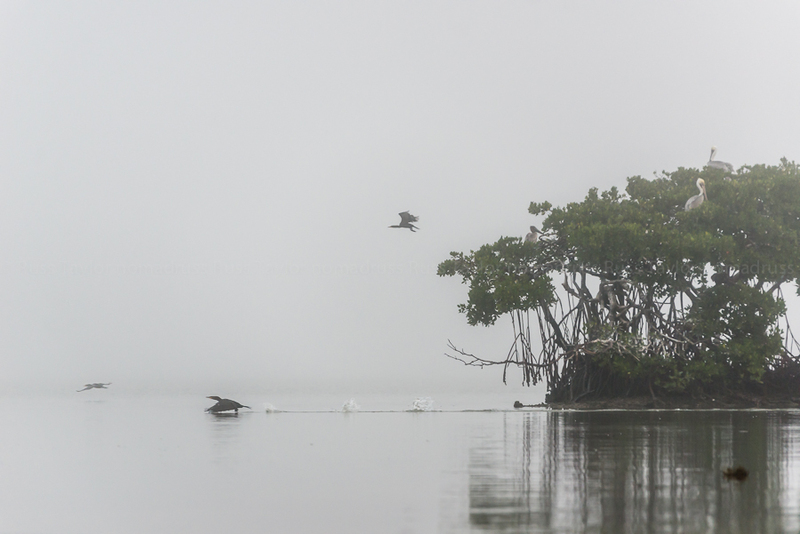 As I continue to edit from a season in the Everglades, I found that I did point my camera towards the cormorant from time to time. I hope you’ll enjoy seeing this delightfully awkward bird. Wow! Truly graceful! Love all the photos. Cormorants are fun to watch. Nice shots! They hang out by our boat while fishing and when we release a pin fish or undersize trout back in the water, they usually grab it. They are opportunists and work together, but I agree, can be interesting to watch. 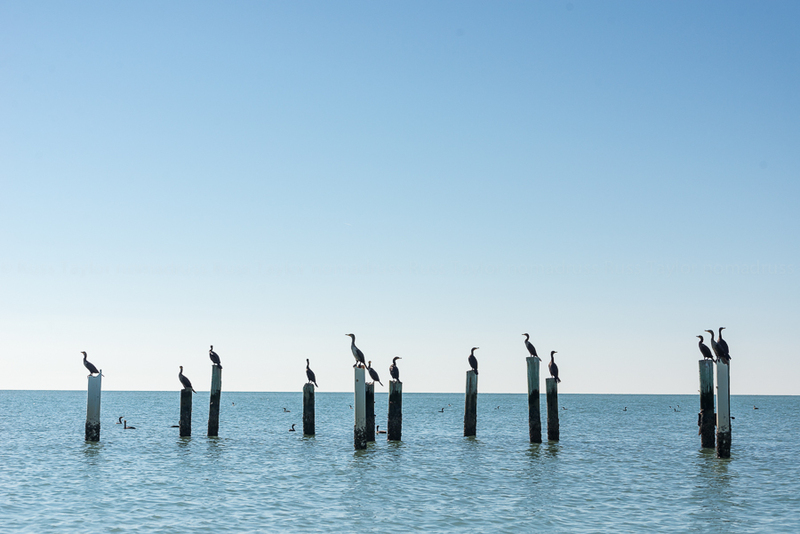 Love that shot of them on the pilings and the one of them amongst the other birds on the mangroves. Very nice pictures Russ. Love the bird flying above the sun in the sunset. 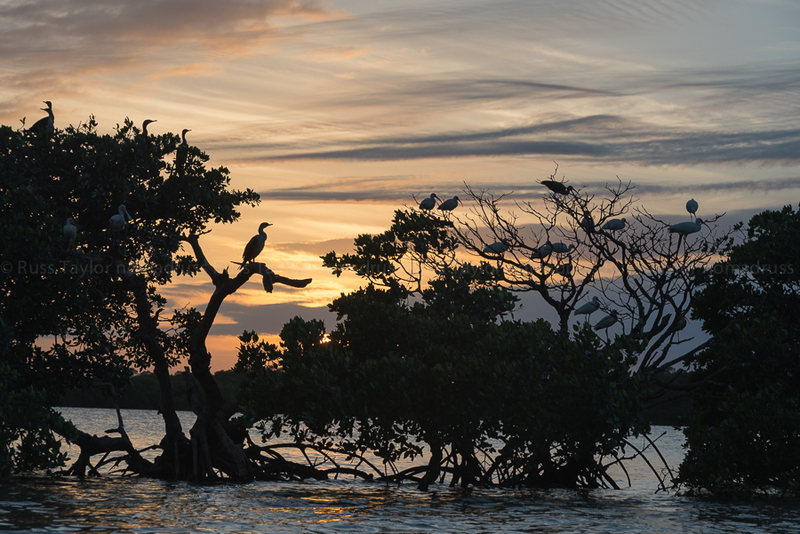 I can almost hear the sounds of the Everglades:) Thanks for sharing a little piece of it with us! Thanks Inger, I love getting to share the place! Sunset with cormorants in silhouette is my favorite. An excellent tribute to a very unique bird. Wow, The photos are just so amazing. Fantastic, fantastic! Especially headline’s photo.